Living in this beautiful and spacious Harpers Ferry home built for William and Inez Saunders ca. 1927 is indeed a privilege. In researching the lives of this African-American couple, we have learned more broadly about the rich depth of black history connected with our town. We can easily draw a direct line through that history from John Brown to the Civil War to Storer College to William and Inez – who came to Harpers Ferry for its unique educational opportunities. They both left after graduating to expand their horizons and then returned here to work, marry and live out the remainder of their lives among colleagues and friends. This month, we share a broad overview of Harpers Ferry’s black history as we have learned it so far. We are not the first to write about this history, by any means, but we hope to make this fascinating story more accessible to our visitors, friends and social media followers. We also provide some sources for those who want to learn more. The first black man arrived in Harpers Ferry in the mid-18th century as an enslaved person with the town’s founder, Robert Harper. Five black men joined John Brown’s ill-fated attempt to incite a slave rebellion by first seizing the weapons in the Harpers Ferry armory: John Copeland, Shields Green, Dangerfield Newby, Lewis Leary, and Osborne Perry Anderson (the sole survivor). 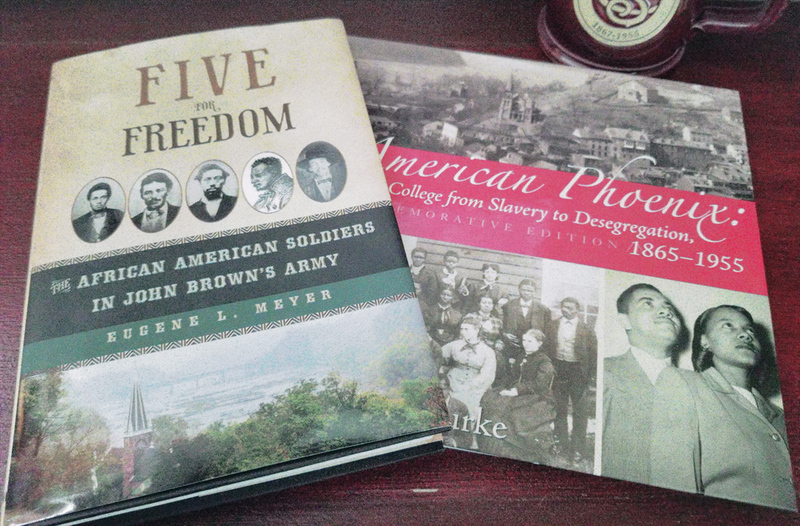 Eugene L. Meyer explores their little-known stories in depth in his recent book Five for Freedom. While the raid ostensibly failed, many consider it to be the spark that set the nation ablaze with Civil War. We’re happy to loan these books to interested guests during your stay! John Brown is a hero in the minds of many African Americans, past and present, and his actions associated with Harpers Ferry influenced African American activity in this town for decades afterward. Frederick Douglass said that while he had lived for black people, John Brown had died for them. W. E. B. Du Bois called Brown the white American who had “come nearest to touching the real souls of black folk” (source: Freedom’s Martyr). Photo Courtesy of the digital archives at the West Virginia and Regional History Center at WVU. At the War’s end, estimates say that around seven hundred African Americans were living in the Harpers Ferry area. Northern religious groups began establishing churches and schools in the area, believing that education was fundamental to the prosperity of the former slaves. Some New England-based Freewill Baptists began to focus their efforts on Harper Ferry, beginning with a primary school and then finding funding for a normal (teacher training) school, which opened in 1867 and became Storer College. You’ll find copy of this great book prominently located in both of our suites. (The older gentleman in the back row of the cover photo is our very own Prof. William Saunders!) We keep the hardcover American Phoenix book in our entry hall and are happy to loan it to guests who want to peruse its pages. Needless to say, the college brought hundreds of African American students to the community during its 90-year existence and sent them out to exert influence locally, nationally and even internationally. Some of them stayed in the area or left and returned (as did both William and Inez Saunders). While the school began as a white Northern mission, its early goals were to “replace Northern workers with ‘colored students’ who had been educated at Storer College…. prepared ‘to become teachers and preachers” and carry on the school’s work. The first African American full-time instructions were added to the faculty in the early 1880s (source: An American Phoenix ). 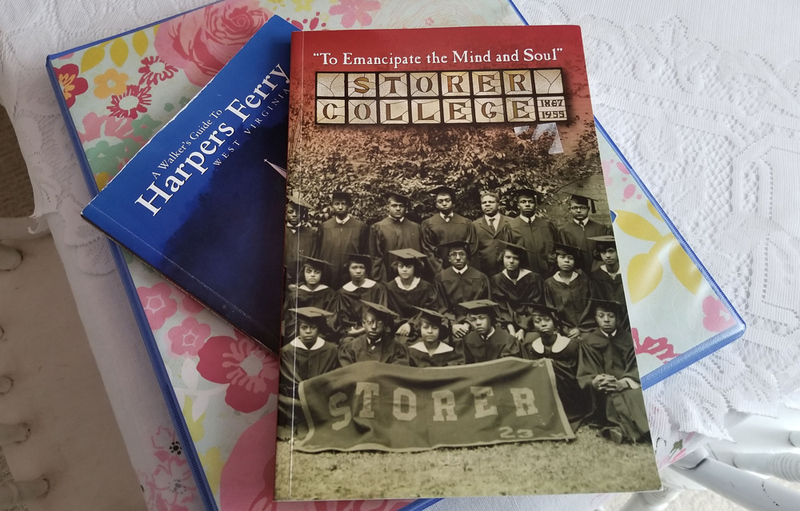 Storer College naturally attracted and welcomed African American leaders and various fledgling movements in its early decades. The National League of Colored Women convened at Storer College in 1896. Later that year it consolidated with the National Federation of Afro-American Women to become the National Association of Colored Women. 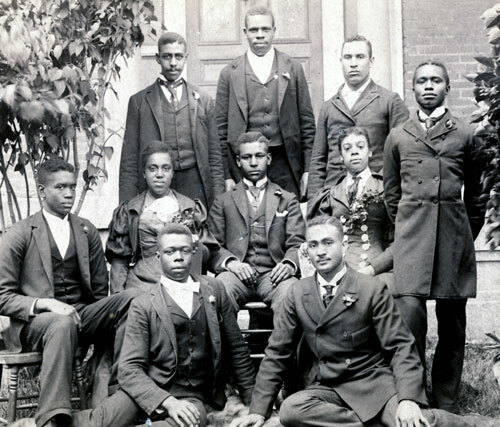 The Niagara Movement, forerunner to the NAACP, held its second conference on the campus of Storer College in 1906. W. E. B. Du Bois was among the leaders of this movement who spoke at the conference. Don Redman, known as “The Little Giant of Jazz,” graduated from Storer in 1920 and went on to become one of the most influential figures in the history of jazz. Each June the National Park Service here sponsors the Don Redman Jazz Heritage Awards & Concert. Dr. Madison Briscoe (Class of 1924) went on to serve on the faculty of Howard University and distinguished himself for his research in the field of parasitology. (Dr. Briscoe served for a time on the Storer faculty earlier in his career. He and his wife Marie Byers Briscoe bought a beautiful 19th-century home on Washington St. in the 1950s while he was teaching at Howard.) (Source: “To Emancipate the Mind and Soul”). 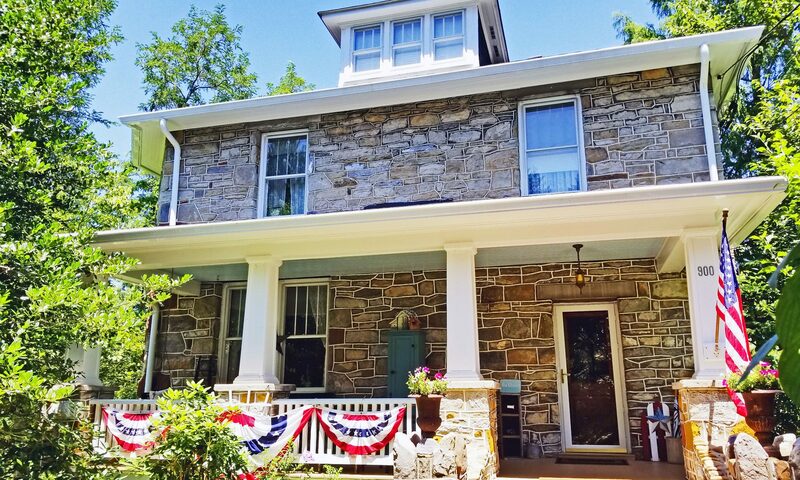 The most commanding and successful lodging establishment in Harpers Ferry to date was built by Thomas S. Lovette, who honed his hosting chops with his family. They operated the Lockwood Hotel and Brackett House, owned by Storer College and used especially in the summer to generate revenue for the school. The Hill Top House, which opened in 1890 became an immediate success – no doubt aided by Lovette’s choice of location high above the Potomac River. He and his wife Lavinia sold the hotel in 1926 after rebuilding some or all of it twice due to fires. The hotel closed in 2008, distinguished as the longest operating hotel in town. (Source: “To Emancipate the Mind and Soul”). We met some descendants of Mr. Lovette in 2018 when they made a visit here from Connecticut. They were thrilled at the prospect of the Hill Top Hotel being rebuilt and honoring Lovette’s legacy. We have previously shared our findings to date regarding William Allen Saunders (Storer Class of 1895) and Inez Marie Johnson Saunders (Storer Class of 1908), but we’ll summarize here to build a case for the significance of this couple in Harpers Ferry. William joined the Storer faculty in 1907 after furthering his education elsewhere, in fulfillment of the mission to educate and hire former students. He stayed for four decades until his retirement in the 1940s, at which time he was named a Professor Emeritus. He was able to purchase a double lot near the college (1916) and to build an imposing stone house of considerable size (ca. 1927). We are not of aware of any other house still standing in town that was built specifically for an African American professor and compares in prominence to this one. He owned this house until 1962 (age 92), and we know for sure he was still living here in the mid-1950s. 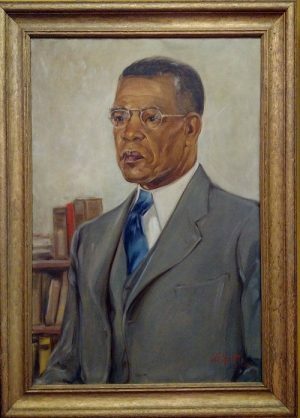 Someone thought enough of him to paint his portrait, which now hangs in the conference room of the National Park Service Mather Training Center (formerly Storer’s Anthony Hall). The real wealth of a race or a nation can never be told in statistics, its real wealth is in its men. In like manner the wealth of a man cannot be measured in money, his measure is to be found in those qualities which lead him to aspire, to strive, to achieve, to serve. Among the successful teachers of the state who have struggled up from poverty and obscurity to a place of prominence in the teaching profession must be mentioned Prof. William Allen Saunders, Professor of Storer College, Harpers Ferry, W. Va.
Saunders’ name appears in many printed Storer College event programs, where he is listed as giving a talk or invocation. The Spirit of Jefferson newspaper reported on Storer’s 80th anniversary celebration in 1947 specifically that “Professor Saunders gave stirring remarks in memory of the founders of the College and placed a wreath below the picture of Dr. N. C. Brackett, first President of the College.” He also served for many years as treasurer of the Alumni Association, keeping in touch with former students for news and fundraising. This evidence indicates to us that these were distinguished people whose lives and local significance should not be forgotten. We’re still new to town and have much to learn. We understand that the section of town we live in was once considered to be a black neighborhood. Saunders sold this house in 1962 to Carrie Dennis, also an African American and an educator, who owned it until her death in 1984. Other Dennis relatives owned surrounding homes at that time (we’ve even met a couple of their descendants). Today, we have one African American neighbor, and another nearby house has an absentee African American owner. We’ve seen very few others living in Harpers Ferry town limits – maybe due to a degree of gentrification – but the black population seems higher in adjacent Bolivar. We think these facts present even more of a reason to make sure that the full history of this town and all the residents who contributed to it are never forgotten. We are still seeking information and welcome any you can add to our understanding.